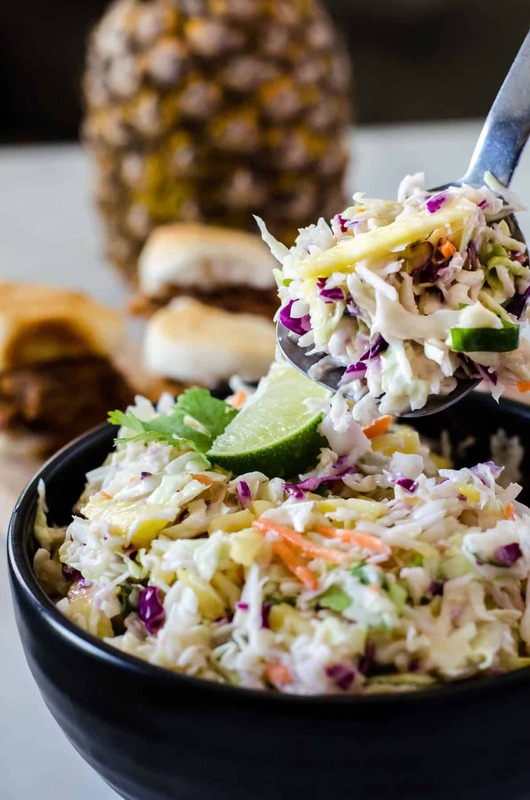 Summer grilling with a kick! 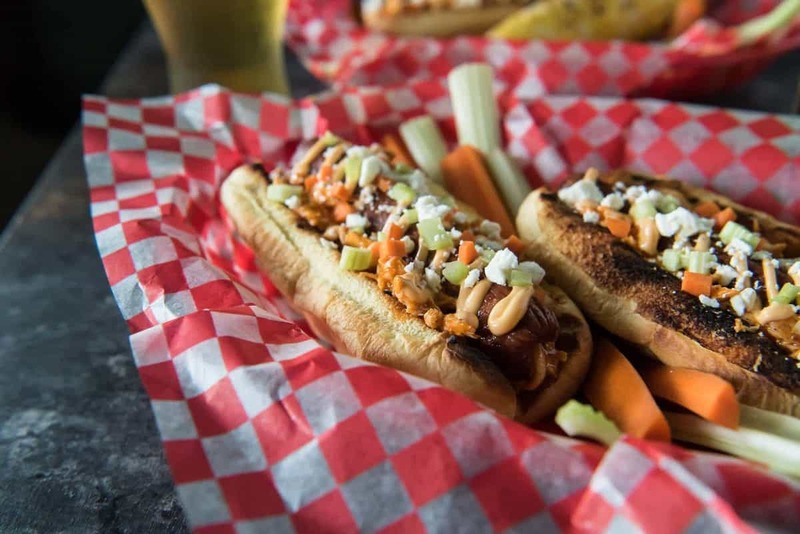 Top your Buffalo Hot Dogs with shredded Buffalo chicken, zesty Buffalo mayo, chopped celery & carrots, and blue cheese (or Feta for BCHaters) for a change of pace in your hum-drum dog game! It’s been a real grillin’ weekend around here, in spite of the drenching afternoon rains we’ve gotten just about every day. We’re spoiled – our grill is under a roof. Grilling in any weather is how. we. roll. JUST TAKE ME TO THE BUFFALO HOT DOGS ALREADY! 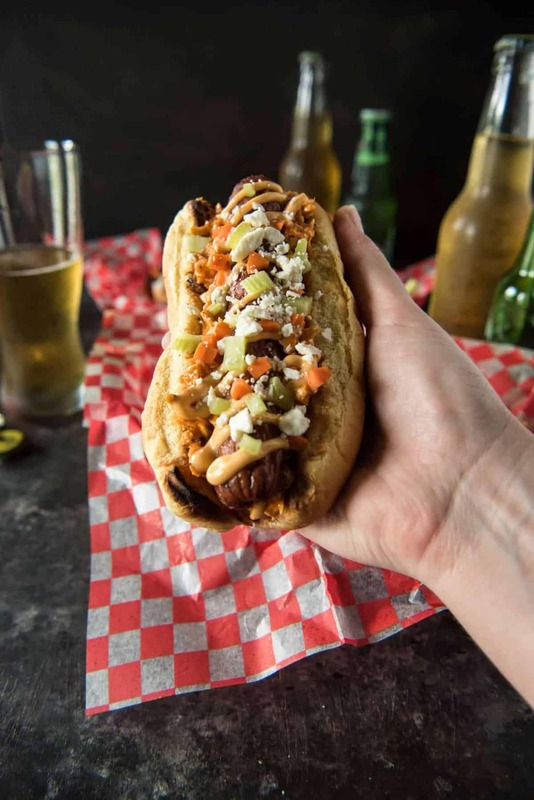 If you’d rather skip my (pretty darn helpful) tips and tricks, essential cooking info, and similar recipe ideas – and get straight to this deliciously easy hot dog recipe, just scroll right on down to the bottom of the page where you can find the printable recipe card! 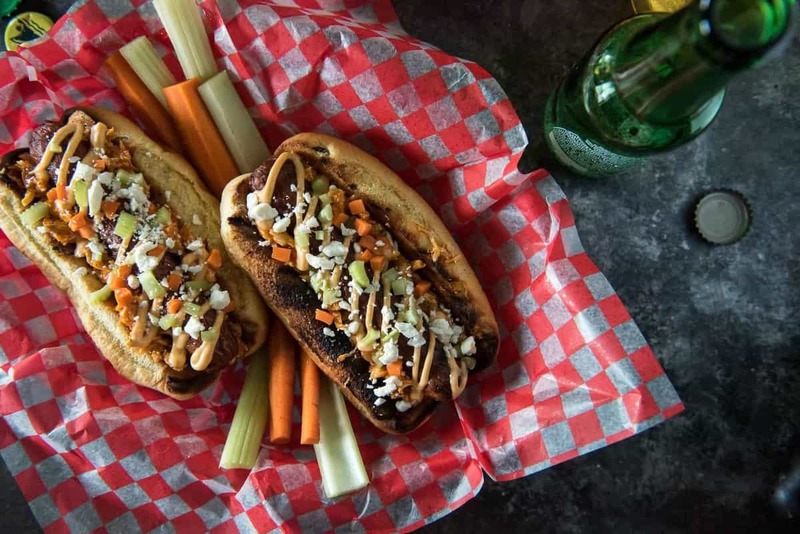 This Buffalo Hot Dogs recipe is ALL about grilling, too. The dogs are grilled. The buns are grilled. Corn (on the side) is grilled. The chicken is grilled before it’s drowned in Buffalo sauce. How do you guys feel about your sauce to meat ratio when it comes to Buffalo-flavored food? I’m partial to LOTS of saucy goodness – same goes for BBQ. Pulled pork? It better be swimming in sauce that I can dunk my bun (or garlic bread, in the case of a local BBQ joint’s sides are concerned) in. 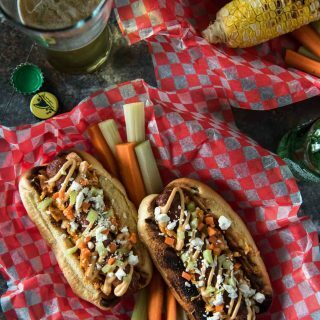 So why wouldn’t I add to the Buffalo sauce deluge on these unique hot dogs by adding a Buffalo mayo to them, too? Obviously, it had to happen. And what Buffalo dish is complete without celery and carrots? You don’t really need them on the side like with wings – they’re not exactly grilling fodder – but dicing them up and tossing them on top of the whole shebang is a GREAT idea. If you’re a superfan of blue cheese…knock yourself out, here. I’m gonna stick with my 90% BCHater ways (I only like it in my hubby’s sliders) and top my dogs with feta or cotija just for a hint of queso love. Since I can barely make any savory recipe without cheese. I also, for some reason, can’t eat anything Buffalo (or anything grilled for that matter) without a cold beer to accompany it. Or two. And I definitely recommend some with these Buffalo Hot Dogs. The mayo cools them down slightly – but your mouth is likely to still be on fire after a couple of these guys. Feel free to pop some heartburn medicine afterward. YOLO, and these are something to enjoy at least once in your life. Though I’m betting you’re going to go back for these again and again, whether it’s summer or not. Combine all ingredients and keep refrigerated until serving time. Slice hot dogs lengthwise about 3/4 of the way through, then grill hot dogs (or broil, pan fry, boil according to package directions) until crispy and browned to your desired color. Toast buns, then spread 1/4 cup of Buffalo chicken inside buns. 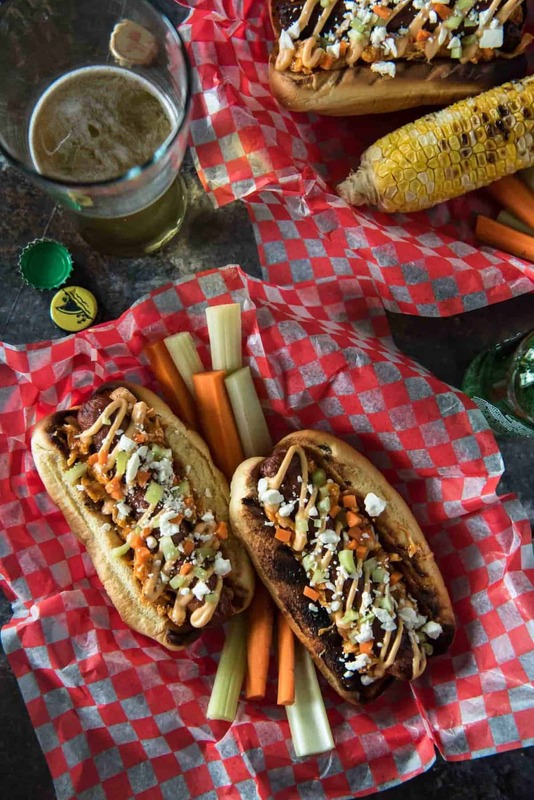 Place hot dogs on top and drizzle with Buffalo mayo. Sprinkle diced celery, carrots, and cheese over the top. Serve immediately. 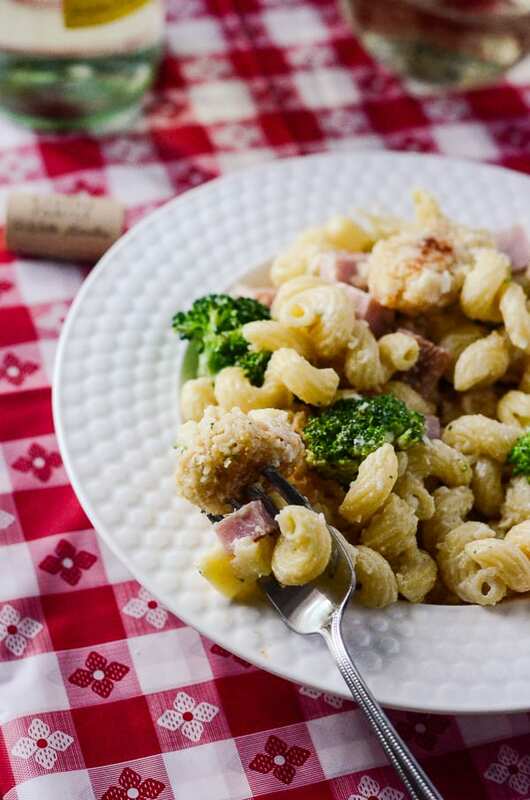 Still hungry for more summertime eats? 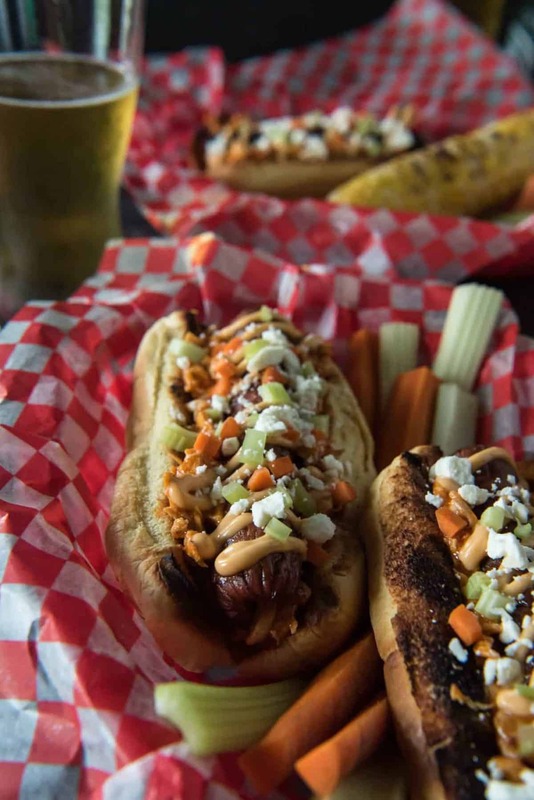 How about a side or two to go with your dogs? LOVE all the Buffalo chicken toppings! 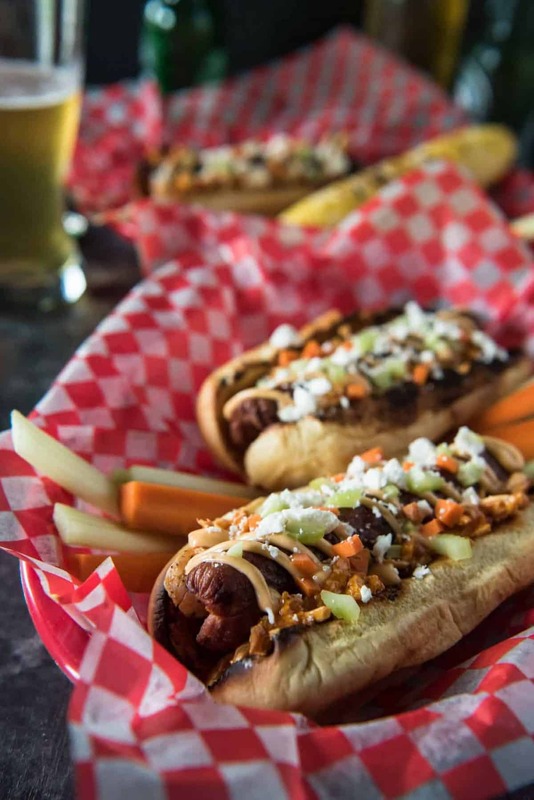 Way to turn ordinary dogs into a fabulous summer entree! These are so eye catching with the different colored toppings. I am definitely a blue cheese fan so there would be lots on my dog. These look great! My mouth is tingling just reading this recipe.